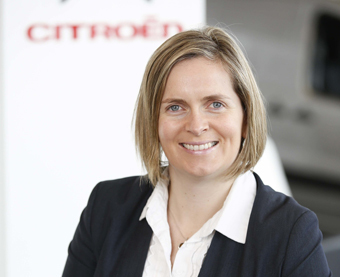 Citroën Motors Ireland has announced Louise Murphy will be taking on additional responsibilities as Commercial Director in charge of Sales and Marketing and Deputy Managing Director. She began her new role on May 11th. Louise joined Citroën Motors Ireland as Marketing Manager in 2011 and has overseen the launch of DS 5, the Citroën C4 Picasso – which was named Continental Irish Car of the Year in 2014 – and most recently the multi-award winning Citroën C4 Cactus. She has a Degree in Business Studies and French from Trinity College and a Masters in Marketing and a Masters in Public Relations from the Dublin Institute of Technology.